A Heat Transfer Paper For Dark Garment Printing on Shirts and Leather Goods Using a Inkjet Printer. 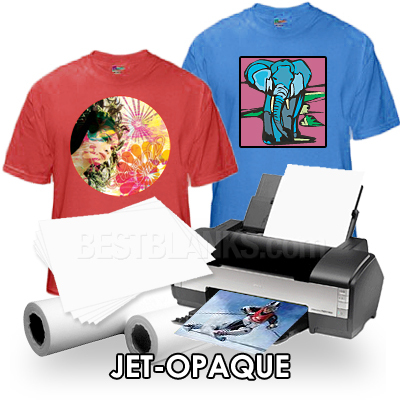 Neenah JET-OPAQUE II Heat Transfer Paper For Professionals & Beginners! 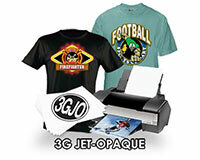 JET-OPAQUE II is designed for inkjet heat transfer printing of photos and images to dark colored T-shirts, sweatshirts and leather goods.